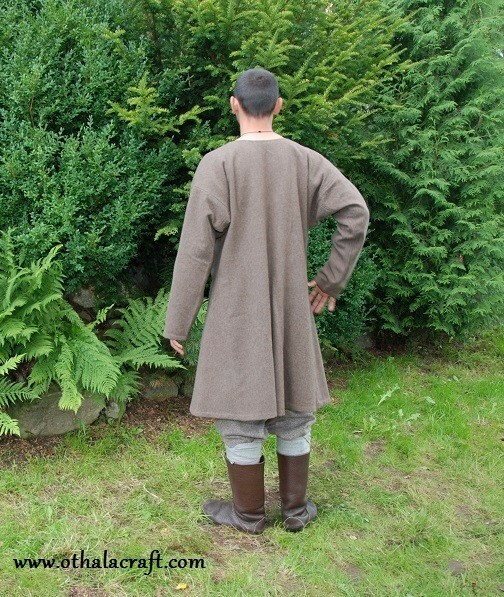 Simple T-tunic made of 100 % woolen fabric in brown color. Shape based on a find from Skjoldehamn, Northern Norway. 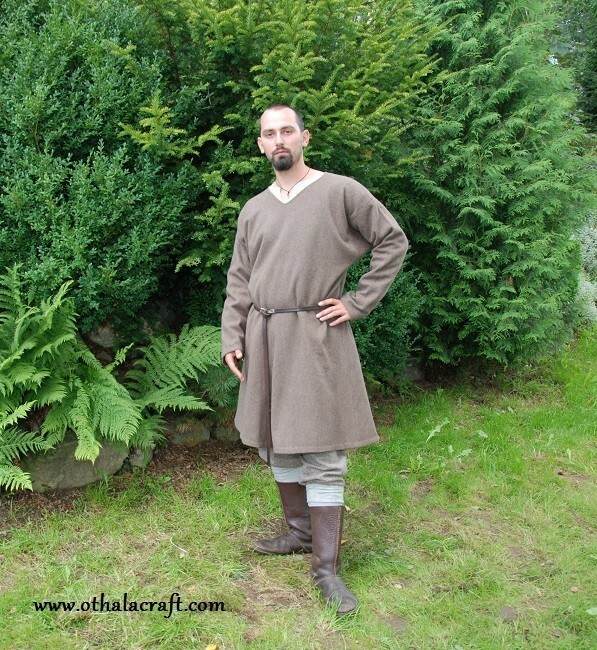 Simple T-tunic made of 95 % woolen fabric in brown color. Shape based on a find from Skjoldehamn, Northern Norway. 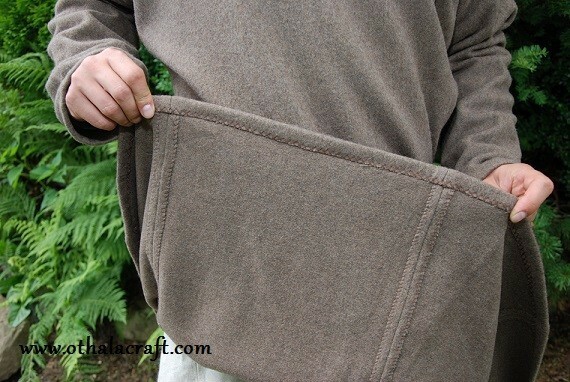 Made of two rectangles and with square-shaped wedges under the armpits and wedges in the front, the back and on the sides. Fabric has been washed before sewing. Inside stitches are hand made, every visible stitches are made by hand with linen threads. 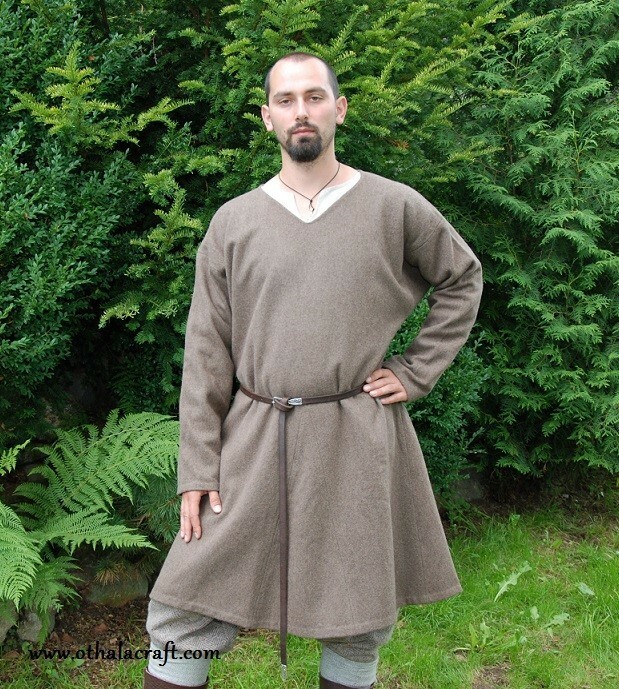 Color of tunic is from two last photos. 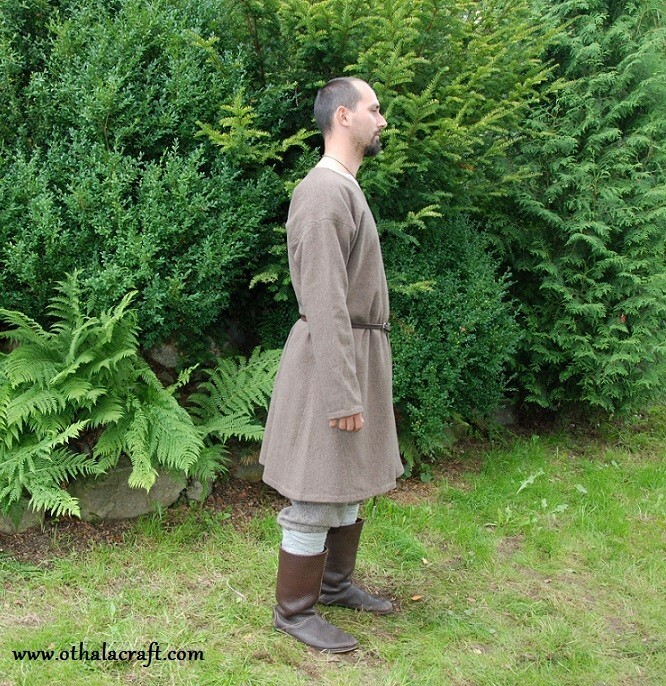 M size: length of tunic 106 cm, width 58 cm x 2, length of sleeves 62 cm, width of sleeves 14 cm, length of wedges 50 cm. 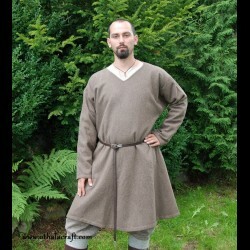 Tunic should be hand washed in 30 C. On photo size XXXL. XL size: length of tunic 107 cm, width 62 cm x 2, length of sleeves 53 cm, width of sleeves 14 cm, length of wedges 54 cm. 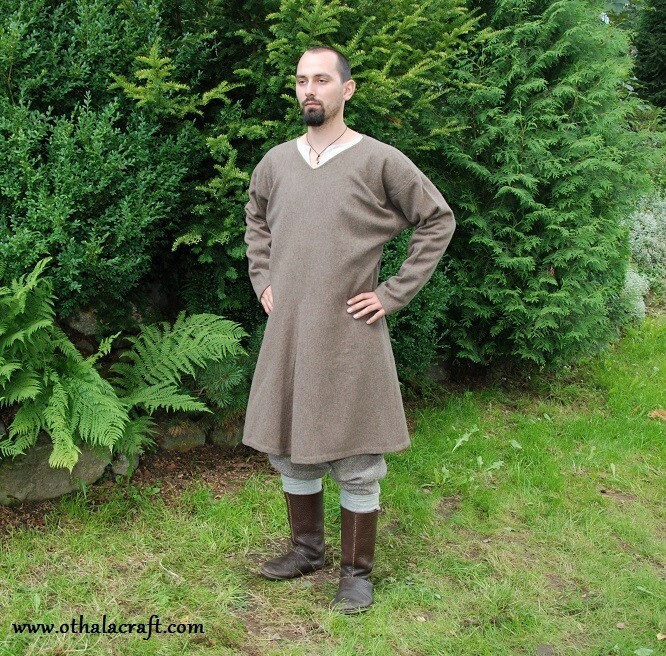 Tunic should be hand washed in 30 C. On photo size XXXL. 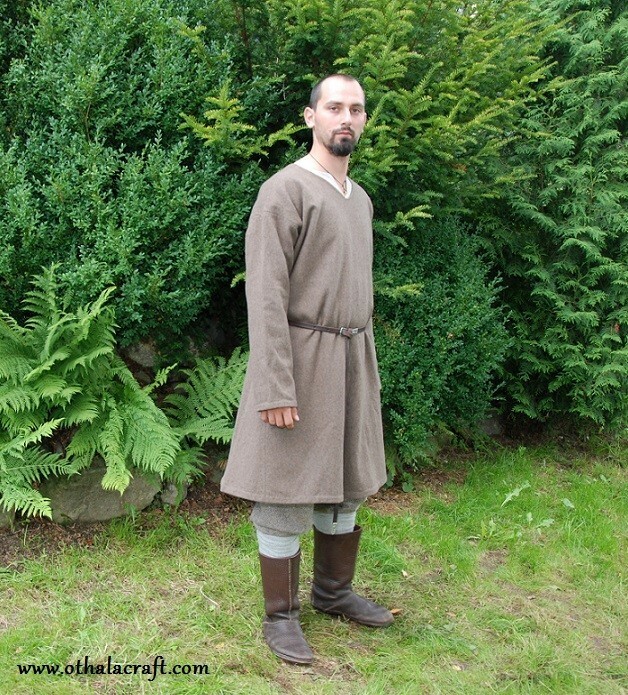 XXL size: length of tunic 106 cm, width 64 cm x 2, length of sleeves 62 cm, width of sleeves 15 cm, length of wedges 54 cm. 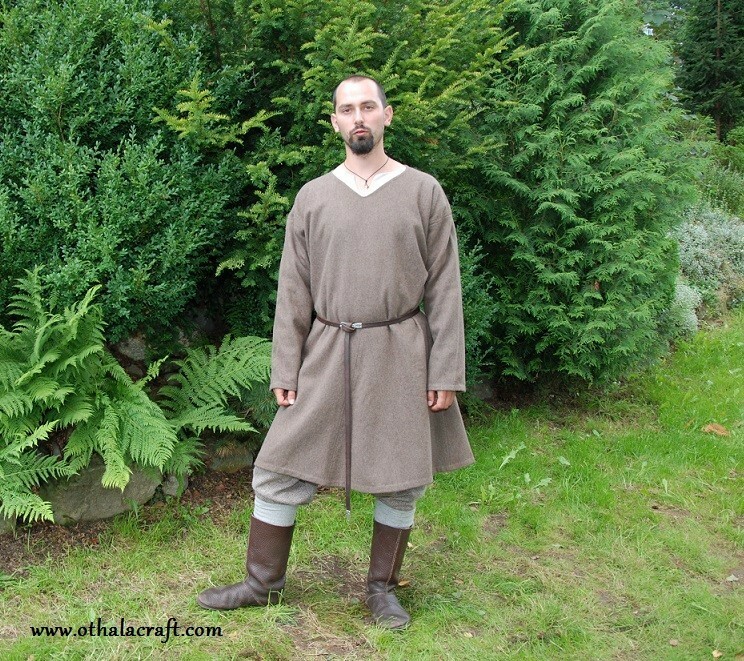 Tunic should be hand washed in 30 C. On photo size XXXL.